As a trout treasury – defined here as a landscape nurturing multiple species of rare and unique sportfish in the family Salmonidae– the Absaroka-Beartooth Wilderness is bested by none in inland North America. Through its rills and creeks swim two native species, Yellowstone cutthroat trout and mountain whitefish. Its vertiginous spires of volcanic rock and granite are also now home to rare, sail-finned Arctic grayling, transplanted from just across the Continental Divide. The world’s two most common trout species, rainbow trout from California and brown trout from Europe, also live in these mountains, but in settings so beautiful they are anything but common. Brook trout, a char native to eastern North America, abound and occasionally reach Leviathan sizes. Finally, this Wilderness is home to the hardest to reach trout, one that lives only in the sky and is colored like the sun, the golden trout. By 1967, however, trout populations inside the wild, vertiginous and rugged 944,000-acres that would be designated as wilderness in 1978, were in sorry shape. Bad management was to blame. Fish stocking that had begun in the early 1900s with mule-drawn milk containers full of trout had advanced to airplanes bombing mountain lakes with fish-hatchery payloads. The damage was severe. The story of how mountain trout lakes in the Absaroka-Beartooth Wilderness took a turn that year to become both some of the healthiest and most diverse in the West, and also the best studied in America, started with a tough man named Pat Marcuson. He believes he was born in the wrong century. He wishes he had followed Lewis and Clark into the West to work as a fur trapper in the trade’s 1830s heyday. In 1967 he took the closest equivalent he could find. He became the Absaroka-Beartooth Wilderness’ fisheries biologists. When the last ice-age ended and the great glaciers pulled back, ancestors of today’s Yellowstone cutthroat trout migrated up the Snake River in what is today Grand Teton National Park and turned right into a tributary called Pacific Creek. Pacific Creek forks with a stream called Atlantic Creek at a basin-top in the Teton Wilderness named Two Ocean Pass. It was here that ancient Yellowstone cutthroat trout swam across the Continental Divide. Downstream from Atlantic Creek they colonized the Yellowstone River and Yellowstone Lake. Through today’s Yellowstone National Park, the cutthroats reached the Absaroka Mountains via Hellroaring Creek and Slough Creek – the latter which would feature later in the Absaroka-Beartooth Wilderness story. Downstream from the park, to the north and east, cutthroats found and colonized other creeks and rivers originating in the Absaroka-Beartooth Wilderness. Cutthroat trout and mountain whitefish swam as far as they could up forks of the Boulder River, Rock Creek, and Rosebud Creek, plus the Stillwater River and the Clark’s Fork of the Yellowstone River. Until they were stopped by waterfalls (some waterfalls in the wilderness area are hundreds of feet high). The fishery that Pat Marcuson found so degraded by the 1960s was the result of bad management, he explained. Non-native trout introduced into waters where native cutthroats lived had decimated the natives. Brook trout were planted in waters that had self-sustaining populations of nice-sized cutthroat trout, rainbow trout, Arctic grayling and golden trout. The result was Malthusian. Swarms of aggressive brook trout outcompeted the other trout for food but failed to reach their sizes. It left teeming populations of stunted brook trout instead of healthy populations of large trout. Meanwhile, the Yellowstone cutthroat trout reared at a state fish hatchery in Big Timber, Montana and stocked in the Absaroka and Beartooth Mountains had begun to suffer from a lack of genetic diversity. The stock had become inbred and anemic and not only did these cutthroats not thrive in the mountains, they hybridized with cutthroat trout already there. This damaged their genetic integrity. In the era before GPS technology, fish-stocking, pilots mistakenly dropped fish into the wrong lakes. One of Marcuson’s first orders was to the pilots. “If anything goes wrong, don’t dump those in a lake, don’t screw up the existing population in the lake, dump them in the woods or something,” he said. Over the next 15 years Marcuson surveyed 989 lakes, a feat of Herculean mountaineering. He remembers hauling on his back a one hundred-pound raft, plus netting equipment, plus everything else he needed to survive. He recalls rowing out into lakes above timberline as storms hammered him. He remembers feeling terrified as electric charges from overhead lightning storms made every hair on his body stick out like quills on a cactus. Once a bull moose attacked and gutted one of his packhorses. He shoveled snow off backcountry lakes to auger into them in wintertime. He wouldn’t trade any of it. Marcuson studied the mountains’ aquatic habitat. He determined if lakes were prone to freezing solid in winters – something that would make stocking trout in them a waste. He also studied the kinds of spawning habitat available in each lake and let the habitat determine the wisest choice of trout for the water. His goal, where appropriate, was to create self-sustaining trout populations. He looked hard at the other aquatic wildlife. To determine if there would be enough food to support trout, possibly even trophy trout. Of equal importance was the potential effects on the aquatic organisms themselves, ranging from freshwater shrimp to rare oversize zooplankton found only in alpine lakes. Would their overall population be jeopardized by the introduction of trout? In some lakes, Marcuson used the naturally derived fish poison rotenone to eliminate existing trout populations in order to re-stock the water with better-suited trout. Or to let it return to a fishless state. “I believe in keeping some of those wilderness lakes barren,” he said. An artist named Patrick Clayton wanted to document this disaster in the early 2000s. Clayton, an underwater trout photographer, has carved out a niche for himself in the annals of great nature art. What John James Audubon’s paintings were to birds; what Georgia O’Keefe’s paintings were to the desert southwest; and what Ansel Adams’ photography was to the national parks; so Clayton’s photographs are to trout. In seeking to tell the story of the decimation of the cutthroat trout in Yellowstone Lake — in trying to make the world feel a sense of the natural beauty that had been lost — Clayton faced a potentially project-ending problem. He couldn’t find any cutthroat trout left to photograph. Clayton ventured into the Absaroka-Beartooth Wilderness. Off-trail and above the timberline he searched for water that Marcuson had stocked with cutthroat trout from Yellowstone. He trudged between rocky basins carrying 80 pounds of equipment on his back. Eventually, he found a short stream connecting two small lakes. Its rocky bottom was alive with the glowing reds and golds of cutthroat trout. The fish were making a spawning run. He pulled on his dry suit and crawled into the frigid water. The trout scattered. But Clayton learned that if he held still for 20 minutes, they would slowly return. He could then lie with them and take their pictures. For about 10 minutes, until he had to rescue himself. “Thirty-five degree water moving over you chills you to the bone,” he said. On the cusp of hypothermia, Clayton pulled himself from the water blue and shivering. He curled inside his sleeping bag until he could feel his extremities again. Then he plunged back into the creek. He repeated this bone-aching rinse and repeat until he had his story. The photos he took were remarkable. One shows a spawning cutthroat leaping over a cascade of whitewater, it’s body sparkling in the sunlight. Others show schools of cutthroats finning in a plunge pool, looking as ethereal and vivid as cumulous clouds at sunset. Clayton has donated his photos to illustrate numerous conservation publications. Then there are those who venture into the Absaroka-Beartooth Wilderness for the hardest to reach trout, the golden trout. Matt Skoglund, an attorney for the Natural Resource Defense Council based in Bozeman, and his brother set out for them in 2010. They studied Marcuson’s book and plotted a course for a pair of lakes, far off any trail. They set off up one of the forks of the Stillwater River and camped on the Beartooth Plateau. They woke up covered in snow (it was August.) Skoglund remembers bear-crawling with his pack on across icy talus fields above timberline, fearing that if his leg slipped down between two rocks his femur would snap. Golden trout, which evolved atop the southern Sierra Nevada Mountains, were first stocked in a lake in the Beartooth Mountains in 1938, according to a report Marcuson wrote in 1984. They had come from Cottonwood Lakes in California, which had been stocked with golden trout prior to 1906. The Cottonwood Lakes population of golden trout became hybridized with rainbow trout, and the genetic contamination is believed to have happened in the 1930s, according to a 2008 report by Phil Pister, a retired fisheries biologist in California who helped take a case to the Supreme Court to save the Devil’s Hole pupfish. The Montana Department of Fish, Wildlife and Parks have used golden trout eggs from the Absaroka-Beartooth Wilderness for stocking in other state waters because of the quality of their genes. Whether by making more anglers aware of the fish, or by improving the genetics of golden trout stocks, Pister said in an email that the Absaroka-Beartooths’ population, “would have a possible value” to ensuring the species survival. In the late 1990s the Clinton Administration used Land and Water Conservation Fund dollars to purchase spent mines around Cooke City near the edge of the wilderness that were leaching sulfuric acid down through the Lamar Valley in Yellowstone National Park and into the Yellowstone River. 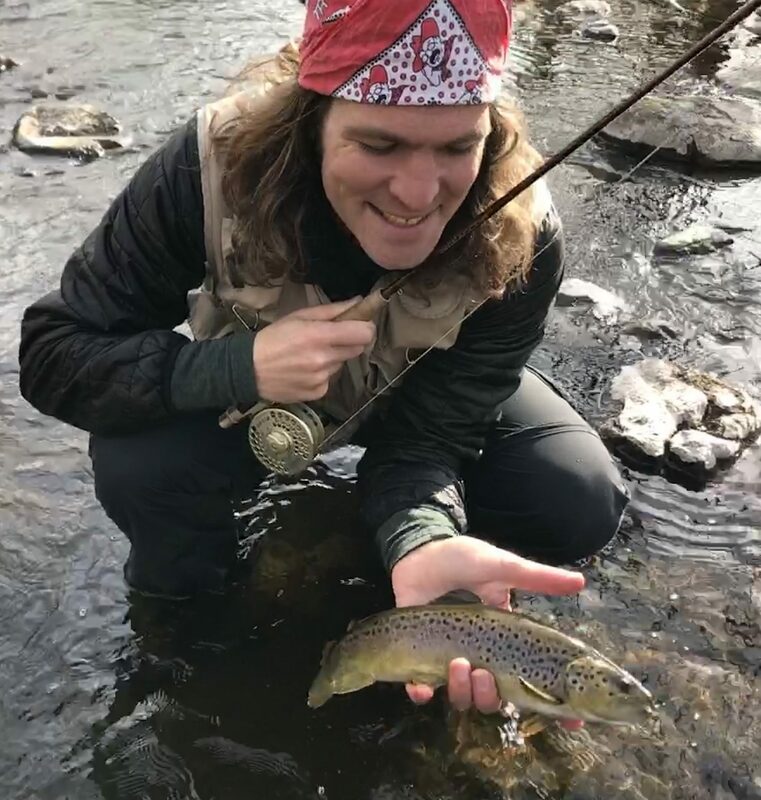 More recently, Todd Koel, the top fisheries biologist in the park, led a project to remove brook trout from the Soda Butte Creek drainage around Cooke City in order to give the native cutthroat of the watershed a safe haven. Another stream where biologists have restored cutthroat trout, East Rosebud Creek, which originates in the Absaroka-Beartooth Wilderness, became the nation’s newest (August 2, 2018) designate Wild and Scenic river. 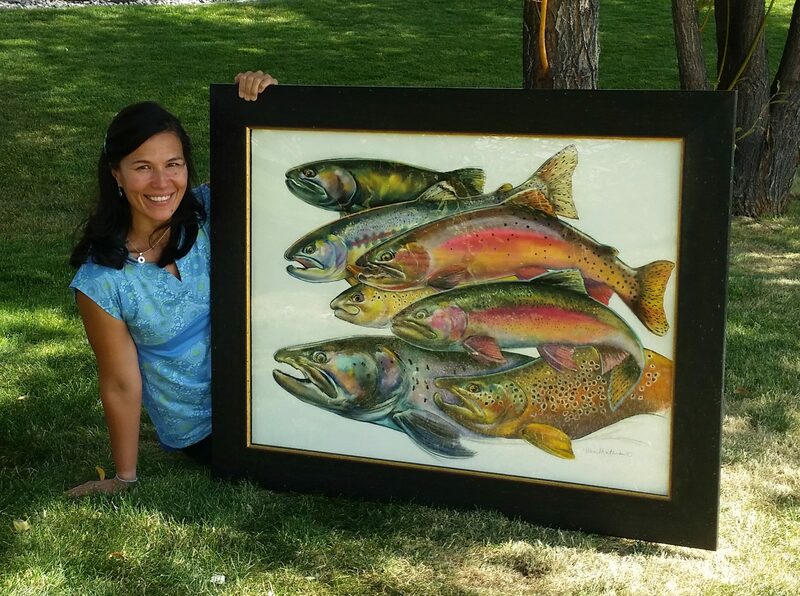 The bill designating East Rosebud was sponsored by Montana’s senior Senator Jon Tester, a Democrat, and co-sponsored by Montana’s junior senator, Steve Daines, a Republican who posts on social media photos of trout that he catches in the Absaroka-Beartooth Wilderness. Marcuson’s parting thoughts about his career in the Absaroka-Beartooth Wilderness are about the proper time to venture into them in pursuit of trout. Author Nate Schweber is a freelance journalist from Missoula, Montana currently living in Brooklyn, New York. His work has appeared in the New York Times, Preservation Magazine and Anthony Bourdain's Explore Parts Unknown. He is the author of the 2012 book "Fly Fishing Yellowstone National Park."